a. För Sverige – I tiden has been adopted by Carl XVI Gustaf as his personal motto. b. Du gamla, Du fria has never been officially adopted as national anthem, but is so by convention. c. Since 1 July 2009. Five other languages are officially recognized as minority languages. They are: Finnish, Meänkieli, Romani, Sami and Yiddish. The Swedish Sign Language also has a special status. d. As of 2008, 18% of the population had foreign origins (13% if excluding Finns and 9% if also excluding other Scandinavians), with 14% foreign-born and another 4% born in Sweden of two foreign-born parents. e. Since 3 September 1967.
f. The .eu domain is also used, as it is shared with other European Union member states. The .nu domain is another commonly used top-level domain ("nu" means "now" in Swedish). Sweden is a Nordic country on the Scandinavian Peninsula in Northern Europe, bordered by Norway in the west, Finland in the northeast, the Skagerrak and Kattegat straits in the southwest, and the Baltic Sea and Gulf of Bothnia in the east. It is connected to Denmark in the southwest by the Öresund Bridge. Its capital city is Stockholm. The citizens enjoy a high standard of living and the country is generally perceived as modern and liberal. Economic liberalization and universal schooling contributed to rapid industrialization; by the 1890s, the country had begun to develop an advanced manufacturing industry. In the twentieth century, Sweden emerged as a welfare state; consequently, it usually ranks among the top countries in the U.N. Human Development Index or HDI. During the Middle Ages, Denmark, Norway and Sweden (including the Swedish-controlled areas of what is today Finland), were united through the Kalmar Union, formed in 1397 under Margaret I of Denmark. Sweden left the union in the sixteenth century, and battled its neighbors for many years, especially Russia and Denmark-Norway. After the death of Charles XII in 1718, the Swedish empire crumbled. In 1809, Finland became an autonomous Duchy of Imperial Russia and by 1814, Sweden had lost all of the conquered territory outside the Scandinavian peninsula. Since 1814, Sweden has been at peace, adopting a non-aligned foreign policy in peacetime and neutrality in wartime. Sweden's humanitarian actions in World War II saved thousands of lives and the nation served as a haven for refugees from the Nazi occupied nations. They remain involved in peacekeeping efforts and supply generous foreign aid. Situated in Northern Europe, Sweden is bounded on the east by the Baltic Sea and Gulf of Bothnia, providing a long coastline. The Skandarna range forms the western border with Norway. At 173,720 square miles (449,964 km²), Sweden is the 55th largest country in the world. 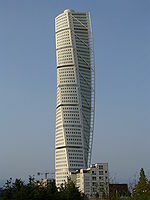 It is the 5th largest in Europe, and the largest in Northern Europe. The country is slightly larger than the U.S. state of California, with a population of 9.1 million people in 2006. Sweden has three main regions. Norrland, covering about three-fifths of the country, is mountainous and has vast forests and large ore deposits. Svealand has undulating glacial ridges and contains most of the country's 90,000 lakes. Götaland comprises the stony Småland highlands and the rich Skåne plains. About 15 percent of Sweden lies north of the Arctic Circle. Southern Sweden is predominantly agricultural, with increasing forest coverage northward. The highest population density is in the Öresund region in southern Sweden, and in the valley of lake Mälaren in central Sweden. 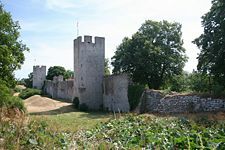 Gotland and Öland are Sweden's largest islands; Vänern and Vättern are Sweden's largest lakes. The western section of Sweden consists of mountains and hills. Plains and agricultural land fill the south. The mountains fjeld are in the north together with plains and lakes and much snow in the winter. More than 50 percent of Sweden is forest, dominant in the central parts, comparable to the terrain of Canada. Sweden enjoys a mostly temperate climate despite its northern latitude, mainly because of the Gulf Stream. In the south of Sweden, leaf-bearing trees are prolific; further north, pines, spruces, and in the very north, hardy birches dominate the landscape. In the mountains of northern Sweden, a sub-Arctic climate predominates. North of the Arctic Circle, the sun never sets for part of each summer, and in the winter, night is similarly unending. The largest city, by population, is the capital Stockholm, to the east, the dominating city for culture and media, with a population of 765,000. The second largest city is Gothenburg, with 500,000, to the west. Third is Malmö in the south, with 250,000. The north is less populated than the southern and central parts, mostly because of its colder climate. The largest city in the north is Umeå with 90,000 inhabitants. Sweden has a rich supply of water power, but lacks significant oil and coal deposits. It does have significant deposits of precious metals and several minerals. Archeological finds of the Nordic Bronze Age (1700-500 B.C.E.) are believed to be petroglyphs of southern Sweden and Norway, grave goods from several large burial mounds, and offering finds from what are believed to have been sacrificial sites. Because of its wide access to water, Sweden's early inhabitants came from many surrounding areas, as no recognized borders existed in Scandinavia. Societies in Sweden remained on the preliterate tribal and chiefdom levels until the emergence of writing on rune stones in the Viking Age. A tribe populating a region of what is today Sweden was first mentioned in 98 C.E. by the Roman historian Tacitus, who wrote about the Suiones who lived out in the sea and were powerful in both arms and ships. Tacitus expressed concern that these Suiones might ally with neighboring tribes and cause trouble for the Roman Empire. Some scholars believe that Tacitus referred to the inhabitants of present-day eastern Sweden or Svealand, primarily the region around lake Mälaren. The modern name Sweden is likely derived from Old English Sweoðeod, which meant "people of the Swedes" (Old Norse Svíþjóð, Latin Suetidi). This word is derived from Sweon/Sweonas (Old Norse Sviar, Latin Suiones). The southern region was inhabited by the Geats in the Götaland territory; Beowulf described semi-legendary Swedish-Geatish wars in the sixth century. The northern part, Norrland, was probably mostly populated by the Sami people. The Swedish Viking Age lasted roughly between the eighth and eleventh centuries C.E. During this period, it is believed that the Svear expanded from eastern Sweden and incorporated the Geats to the south. Saint Ansgar introduced Christianity around 829, but the new religion did not begin to fully replace paganism until the twelfth century and onward. Swedish kings also began to expand the Swedish-controlled territory in Finland, creating conflicts with the Rus. These conflicts came to a temporary end through a peace treaty in 1323, dividing the Karelian peninsula and the northern areas between the two countries. Kingdoms of Svear (Swedes) and Götar (Geats) in the twelfth century. In the fourteenth century, Sweden was struck by the Black Death (the Plague). In 1319, Sweden and Norway were united under Magnus VII, and in 1397 Queen Margaret I of Denmark effected the personal union of Sweden, Norway, and Denmark through the Kalmar Union. However, Margaret’s successors, whose rule was also centered in Denmark, were unable to control the Swedish nobility. King Christian II of Denmark, who asserted his claim to Sweden by force, ordered a massacre in 1520 of Swedish nobles at Stockholm, known as the “Stockholm blood bath.” This stirred the Swedish nobility to new resistance and, in 1523, they made Gustav Vasa their king. He rejected Catholicism and led Sweden to the Protestant Reformation. Gustav Vasa is by some considered to be Sweden's "Father of the Nation." The seventeenth century saw the rise of Sweden as one of the Great Powers in Europe. Sweden also acquired several mighty enemies, however, and its great power status crumbled in the eighteenth century after the Great Northern War (1700 - 1721). 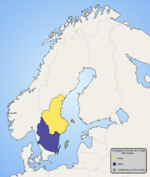 In 1809, the Swedish territory once named Österland (Eastern district) was ceded to Finland, which itself then became an autonomous Duchy of Imperial Russia. After Denmark's defeat in the Napoleonic wars, Norway was ceded to Sweden in the Treaty of Kiel. Norway declared itself independent, leading to the "Campaign against Norway" in 1814. The Campaign ended with the Convention of Moss, which forced Norway into a union with Sweden that was not dissolved until 1905. Despite the slow rate of industrialization into the nineteenth century, many important changes were taking place in the agrarian economy due to innovations and the large population growth. These innovations included government-sponsored programs of enclosure, aggressive exploitation of agricultural lands, and the introduction of new crops such as the potato. Swedish farming culture began to take on a critical role in the Swedish political process, which evolved into the modern Agrarian party (now called the Center Party). Between 1870 and 1914, Sweden finally began developing into the industrialized economy that exists today. 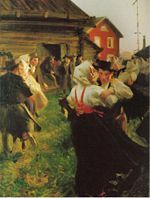 Grassroots movements sprung up in Sweden during the latter half of the nineteenth century in the form of unions, temperance groups, and independent religious groups, creating a foundation of democratic principles. These movements directed Sweden's evolution into a modern parliamentary democracy by World War I. As industrialization increased during the twentieth century, people began moving into cities to work in factories, leading to the formation of Socialist unions. Sweden remained officially neutral during World War I and World War II, although its neutrality during World War II has been highly debated. Sweden was forcibly under German influence for most of the war, as ties to the rest of the world were cut off through blockades. For a time virtually all of Sweden's production of steel, industrial goods, and raw materials went to Germany in exchange for necessary fuels, foodstuffs, and manufactured consumer goods. Towards the end of the war, Sweden played a major role in the humanitarian efforts and many refugees, among them many Jews from Nazi-occupied Europe, were saved partly because of the Swedish involvement in rescue missions at the internment camps and partly because Sweden served as a haven for refugees, primarily from Norway and the Baltic states. By late 1943 Sweden was a haven for some 11,000 refugees from Denmark, including over 7,000 Danish Jews, and about 30,000 Norwegians. Following the war, Sweden took advantage of an intact industrial base, social stability, and its natural resources to expand its industry to supply the rebuilding of Europe. By the 1960s, Sweden, like the other Nordic countries, had become an affluent consumer society and welfare state. 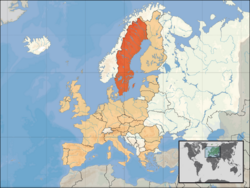 Sweden was part of the Marshall Plan and participated in the Organization of European Cooperation and Development (OECD), but continued to stay non-aligned during the Cold War, and is still not a member of any military alliance. During most of the post-war era, the country was governed by the Swedish Social Democratic Party (Socialdemokraterna) and the welfare state established was built on socialist principles with a strong social safety-net. With steadily increasing tax revenues, many of the policies aiming to improve the quality of life for the general population, in particular Sweden's working class, were successfully implemented. By the 1930s, the living standard in Sweden was ranked as one of Europe's highest and its ranking at or near the top continued into the mid-twentieth century. Popular government in Sweden rests upon ancient traditions. The Swedish Riksdag stems from the ancient court system used by all Germanic peoples, the Ting, and the election of kings in the Viking age. The Government of Sweden has adhered to Parliamentarism — de jure since 1975, de facto since 1917. Swedish politics takes place in a framework of a parliamentary representative democratic constitutional monarchy. Executive power is exercised by the government, led by the Prime Minister. Legislative power is vested in both the government and parliament, elected within a pluriform multi-party system. The Judiciary is independent, appointed by the government for life. 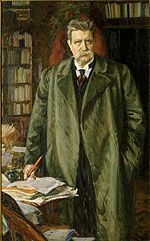 The Swedish Social Democratic Party has played a leading political role since 1917, after Reformists confirmed their strength and the revolutionaries left the party. After 1932, the Cabinets have been dominated by the Social Democrats. Only four general elections (1976, 1979, 1991 and 2006) have given the center-right bloc enough seats in Parliament to form a government. This is considered one reason for the Swedish post-war welfare state, with a government expenditure of slightly more than 50 percent of the gross domestic product. The Constitution consists of four fundamental laws. The most important is the Instrument of Government of 1974 which sets out the basic principles of political life in Sweden, defining rights and freedoms. The Act of Succession is a treaty between the old Riksdag of the Estates and The House of Bernadotte regulating their rights to accede to the Swedish throne. The executive authority of the government is vested in the cabinet, which consists of a Prime Minister and roughly 20 Ministers who run the government departments. The Ministers are appointed by the Prime Minister without any confirmation of the Parliament. The Prime Minister is first appointed by the Speaker of Parliament and then confirmed by Parliament. The monarch plays no part in this process. 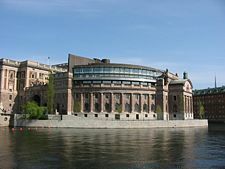 The unicameral Riksdag has 349 members, popularly elected every four years. It is in session generally from September through mid-June. Legislation may be initiated by the Cabinet or by members of Parliament. Members are elected on the basis of proportional representation for a four-year term. The Riksdag can alter the Constitution, but only with approval by a supermajority and confirmation after the following general elections. Sweden is divided into 21 counties. In each there is a County Administrative Board and a County Council. Each county is also divided into several Municipalities, in total 289. Stockholm is the capital city. The King, the Parliament and the Cabinet all sit in Stockholm. Throughout the 20th century, foreign policy was based on the principle of non-alignment in peacetime, neutrality in wartime. Beginning in the late 1960s, Sweden attempted to play a more significant and independent role in international relations. This involved international peace efforts, especially through the United Nations, and in support to the Third World. Since the murder of Olof Palme in 1986 and the end of the Cold War, this has been significantly reduced, although Sweden remains comparatively active in peace keeping missions and maintains a generous foreign aid budget. Since 1995, Sweden has been a member of the European Union, and as a consequence of a new world security situation the country's foreign policy doctrine has been partly modified, with Sweden playing a more active role in European security co-operation. The Swedish Armed Forces (Försvarsmakten) is a Government agency responsible for the peacetime operation of the armed forces. The primary task of the agency is to train and deploy peace support forces abroad, while maintaining the long-term ability to refocus on the defense of the country in the event of war. The Armed Forces is branched into Army, Air Force, and Navy. As a Government agency, it reports to the Swedish Ministry of Defense. Sweden's military is built on conscription, and until the end of the Cold War nearly all males reaching the age of military service were conscripted. In recent years, conscription rates have dropped dramatically, while the number of female volunteers has increased slightly. Swedish units have taken part in UN peacekeeping operations, in Congo, Cyprus, Bosnia, Kosovo, and Afghanistan. In the early twenty-first century, one of the most important tasks for the Swedish Armed Forces was to form a Swedish-led European Union Battle Group to which Norway, Finland, and Estonia will also contribute. The Nordic Battle Group (NBG) is to have a 10-day deployment readiness by the first half of 2008. Sweden is an industrialized country. Agriculture, once accounting for nearly all of the nation's economy, now employs less than 3 percent of the labor force. Historically, Swedish industrialization was based on natural resources such as forests, iron ore deposits, and hydroelectric power. These retain some importance but today economic activity is concentrated in areas that are not tied to the nation's natural resources base. In particular, the telecommunications, pharmaceutical and automotive industries are of importance. "Swedish welfare" refers to the Swedish variant of the mixed economy welfare state prevalent in much of the industrialized world. Similar systems are found especially in the other Nordic countries. The country has been categorized by some observers as a middle way between a capitalist and a socialist economy. Supporters of the idea assert that Sweden has found a way of achieving one of the highest levels of social equality in the world, without stifling entrepreneurship. The viewpoint has been questioned by supporters of economic liberalization in Sweden and skeptics of socialism as a viable approach to economic management. The system developed slowly but persistently throughout the twentieth century. The development was led by the Swedish Social Democratic Party and the trade unions. This involved opposition from the business community and the liberal and conservative opposition. However, the opposition eventually came to accept much of the Social Democratic system, and has typically worked to reform it from within. Swedish, a North Germanic language related and very similar to Danish and Norwegian but differing in pronunciation and orthography, is the official language. Swedish became Sweden's official language on July 1, 2009, when a new language law was implemented. Five other languages are officially recognized as minority languages: Finnish, Meänkieli, Romani, Sami and Yiddish. The Swedish Sign Language also has a special status. A majority of Swedes, especially those born after World War II, understand and speak English. English was required for secondary school students studying natural sciences as early as 1849, and for all Swedish students since the late 1940s. Most students also learn one and sometimes two additional languages. As part of its social welfare system, Sweden provides an extensive childcare system that guarantees a place for all young children from 1-5 years old in a public day-care facility. Between ages 6-16, children attend compulsory comprehensive school, divided into three stages. After completing the ninth grade, 90 percent continue with a three-year upper secondary school, leading sometimes to a vocational diploma and always to qualifications for further studies at a university or college. Both upper secondary school and university studies are financed by taxes. Before the eleventh century, Swedes adhered to Norse paganism, worshiping Æsir gods, with its center at the Temple in Uppsala. With Christianization in the eleventh century, the laws of the country were changed, forbidding worship of other deities into the late nineteenth century. After the Protestant Reformation in the 1530s, the Church and State were separated, abolishing the authority of the Roman Catholic bishops, allowing Lutheranism to prevail. This process was completed by the Uppsala Synod of 1593. During the era following the Reformation, known as the period of Lutheran Orthodoxy, small groups of non-Lutherans were quietly tolerated. 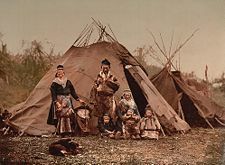 The Sami people were converted from their shamanistic religion to Lutheranism by Swedish missionaries in the seventeenth and eighteenth centuries. Liberalization in the late eighteenth century, however, led to tolerance for believers of other faiths, including Judaism and Catholicism, allowing adherents to openly live and work in Sweden, although it remained illegal for Lutheran Swedes to convert to another religion until 1860. The right to stand outside any religious denomination was established in the Law on Freedom of Religion in 1951. Today about 78 percent of Swedes nominally belong to the Church of Sweden, but the number is decreasing by about one per cent every year. Small percentages of native and naturalized Swedes are Roman Catholics, Eastern Orthodox Christians, and Muslims. In general, however, Swedish society, collectively, is considered comparatively secular and non-religious. Sweden, separated from the mainstream of continental Europe's cultural developments, has developed its own rich and distinctive character. What has evolved has been a vitality and simplicity taken from folk culture as well as the beauty of the landscape. Well-known inventions and discoveries, historical and modern, were made by Swedes. Some notable figures are Alfred Nobel, Anders Celsius, Baltzar von Platen, Carl Wilhelm Scheele, Jöns Jakob Berzelius, John Ericsson, Anders Jonas Ångström, Lars Magnus Ericsson, Svante Arrhenius, Arvid Carlsson, Håkan Lans. Sweden made its first contributions to Western culture and science in the mid-eighteenth century. Sweden is home to the world's most revered award, the Nobel Prize, which was established by Alfred Nobel through his will in 1895 and first awarded in 1901. The prize is awarded each year in five different categories: Chemistry, Physics, Medicine or Physiology, Literature, and Peace. With the exception of the Peace prize, which is awarded in Oslo, the prizes are bestowed in Stockholm at an annual ceremony on December 10. The oldest remains of Swedish art are found in the churches: frescos, altar pieces and baptismal founts. The motifs evolve around religious beliefs, focused on purgatory, the devil, Jesus Christ, and the Virgin Mary. In the nineteenth century, the painter Carl Larsson (1853-1919) shaped the image of the idyllic countryside home with his picturesque illustrations. The nation's most well-known artists include painters Anders Zorn, and Alexander Roslin, and the sculptors Tobias Sergel and Carl Milles. Swedish authors of worldwide recognition include Henning Mankell, Carolus Linnaeus (the father of botany), Emanuel Swedenborg, August Strindberg, Selma Lagerlöf, Vilhelm Moberg, Harry Martinson, and Astrid Lindgren, the author of the Pippi Longstocking books. Swedish twentieth century culture is noted by pioneering works in cinema, with Mauritz Stiller and Victor Sjöström. In the 1920s–1980s, the filmmakers Ingmar Bergman and Bo Widerberg received Academy Awards, and actresses Greta Garbo, Ingrid Bergman, Ann-Margret, Lena Olin, Zarah Leander, and Anita Ekberg and the actors Max von Sydow, Stellan Skarsgård, Dolph Lundgren, and Peter Stormare have had international careers. More recently, the films of Lukas Moodysson and Lasse Hallström have received international recognition. Sweden has a rich musical tradition, ranging from medieval folk ballads to pop music. The music of the pre-Christian Norse has been lost to history, although historical recreations have been attempted based on instruments found in Viking sites. Instruments used were the lur (a sort of trumpet), simple string instruments, wooden flutes, and drums. The Viking musical legacy may live on in some of the old Swedish folk music. Sweden has a significant folk-music scene, both in the traditional style as well as more modern interpretations which often mix in elements of rock and jazz. There is also Sami music, called joik, which is actually a type of traditional chant of Sami animistic spirituality that has gained recognition in the international world of folk music. Sweden also has a prominent choral music tradition, deriving in part from the cultural importance of the Swedish folk songs. Out of a population of 8.9 million, it is estimated that between five hundred thousand and six hundred thousand people sing in choirs. Swedes like to credit themselves with being the third largest exporter of pop and rock music in the world, after the United States and the United Kingdom. Swedes are among the greatest consumers of newspapers in the world, and nearly every town is served by a local paper. The country's news is reported in English by, among others, the liberal The Local. For many years Swedish television consisted solely of the two channels broadcast by the public service company Sveriges Television, which, as in most other European countries, is financed through a radio and TV license. In 1987 the first commercial Scandinavian channel, TV3, began transmitting from London, and today there are three (SVT1, SVT2 and TV4) free broadcast channels in the terrestrial network, which is currently switching from analog television to digital. However, most Swedes have access to numerous other free or pay channels through cable TV or satellite TV. Swedish cuisine, like that of the other Scandinavian countries, is traditionally simple. Fish, meat, and potatoes play prominent roles. Spices are sparse. Famous dishes include Swedish meatballs (köttbullar—traditionally served with gravy, boiled potatoes, and lingonberry jam), plättar (Swedish pancakes, served with jam), lutfisk, the smörgås (open-faced sandwich, directly translated: Butter-goose), and the famous 'Smörgåsbord' or lavish buffet. Aquavit, or akvavit, is a popular celebratory alcoholic drink made with potatoes and herbs such as caraway seeds. Other, more regional traditional foods are the surströmming parties in Northern Sweden (surströmming is a type of fermented fish) and ålagillen (eel parties) in Scania in Southern Sweden. Martin of Tours Eve is celebrated in Scania in November with Mårten Gås parties, where roast goose and svartsoppa ("black soup," made of goose stock, fruit, spices, spirits, and goose blood) are served. Healthcare in Sweden is very developed. Sweden ranks in the top five countries with respect to low infant mortality. It also ranks high in life expectancy and in safe drinking water. The Lund University hospital, the Karolinska University Hospital in Solna, and the Sahlgrenska University Hospital in Gothenburg, and the Akademical hospital in Uppsala are some of the world-class hospitals in Sweden. Apart from traditional Protestant Christian holidays of Christmas and Easter, Sweden also celebrates some unique holidays, some of a pre-Christian tradition. They include Midsummer, celebrating the summer solstice; Walpurgis Night on April 30, lighting bonfires; Labor Day on May 1 is dedicated to socialist demonstrations; and December 13, the day of Saint Lucia the lightgiver. June 6 is the National holiday of Sweden and, as of 2005, a public holiday. Furthermore, there are Flag day observances and a Namesday in Sweden calendar. The Sami have their holiday on February 6 and Scania celebrate their Scanian Flag day on the third Sunday in July. Sports are a national movement with half of the population actively participating, due in part to heavy government subsidies of sport associations. The two main spectator sports are soccer) and ice hockey. After soccer, horse sports have the highest number of participants, mostly women. Golf, track and field, and team sports like handball, floorball, basketball and bandy are popular. In schools, brännboll, a sport similar to baseball, is commonly played for fun. Other leisure sports are the historical game of kubb and boules among the older generation. Sweden hosted the 1912 Summer Olympics and the FIFA World Cup in 1958. Other major sports events Sweden has hosted include 1992 UEFA European Football Championship,and FIFA Women's World Cup 1995. ↑ Befolkningsstatistik. www.scb.se. Retrieved October 25, 2011. ↑ På lördag kan 440 000 flagga blått och vitt (in Swedish). www.scb.se (2008-12-05). Retrieved October 25, 2011. ↑ Summary of Population Statistics 1960–2008. www.scb.se. Retrieved October 25, 2011. ↑ Befolkningsstatistik. Statistiska centralbyrån. Retrieved October 25, 2011. ↑ 6.0 6.1 6.2 6.3 Sweden. International Monetary Fund. Retrieved October 25, 2011. ↑ 7.0 7.1 Språklagen (in Swedish). Språkförsvaret (2009-07-01). Retrieved October 25, 2011. ↑ 8.0 8.1 8.2 David Landes, Swedish becomes official 'main language' The Local, July 1, 2009. Retrieved December 24, 2012. ↑ Är svenskan också officiellt språk i Sverige? (in Swedish). Språkrådet (Language Council of Sweden) (2008-02-01). Retrieved October 25, 2011. ↑ April 1997, Agenda 21 - Natural Resource Aspects - Sweden, 5th Session of the United Nations Commission on Sustainable Development. Retrieved April 10, 2007. ↑ Eric Einhorn, and John Logue (1989). Modern Welfare States: Politics and Policies in Social Democratic Scandinavia. (New York: Praeger Publishers), 8. ↑ Charles Westin. "Sweden: Restrictive Immigration Policy and Multiculturalism." . Country Profiles: Sweden. migrationinformation.org. Retrieved May 31, 2008. ↑ Statistics Sweden. Yearbook of Housing and Building Statistics 2007. Statistics Sweden, Energy, Rents and Real Estate Statistics Unit, 2007. ISBN 9789161813612. Available online in . Retrieved May 31, 2008. ↑ June 17, 2004 Största språken i Sverige idag. Largest languages in Sweden today, Swedish Integration Board (Swedish Language). Retrieved April 11, 2007. ↑ July 1999. English spoken - fast ibland hellre än bra, Lund University newsletter 7/1999 (Swedish Language). ↑ Olle Lönnaeus, Niklas Orrenius, and Erik Magnusson, Djup splittring bland Malmös muslimer, Sydsvenskan (Swedish Language), February 9, 2006. Retrieved April 11, 2007. ↑ The Nobel Prize, Official Web Site of the Nobel Foundation. Retrieved April 12, 2007. ↑ Sweden's Culture, interKnowledge Corp. Retrieved April 12, 2007. Sweden's Culture, interKnowledge Corp. Retrieved April 12, 2007. Sweden. Love To Know. Retrieved April 20, 2007. June 21, 2005. Sweden most creative country in Europe & top talent hotspot. Invest in Sweden Agency. Retrieved April 20, 2007. Natural Resource Aspects of Sustainable Development in Sweden. Sustainable Development. Retrieved April 20, 2007. Sweden Social and economic conditions. Encyclopædia Britannica Online. Sweden. The CIA World Factbook. This page was last modified on 9 November 2015, at 15:09.